A shooting on Chicago's south side Wednesday night claimed the life of rapper who'd recently been signed to a record deal. Mario Hess -- also known as Blood Money -- was signed by Interscope Records about two weeks ago, according to his manager and cousin, Renaldo Reuben Hess. "This was his dream and he finally got his foot in the door," said Hess. "But that’s how it goes in Chicago. He really wanted to get off the streets." 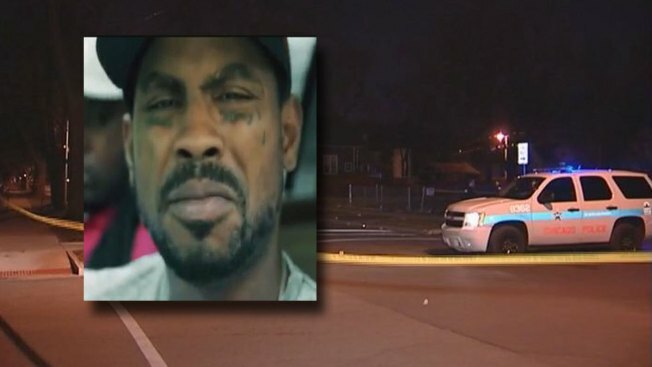 Police said Hess, 33, was shot and killed about 9:30 p.m. in the 5600 block of South Elizabeth Street. He was found lying on a sidewalk with a gunshot wound to the chest. Hess' publicist, Victor Foh, told NBC Chicago the rapper was shot 10 times while on his way to a record studio. Another man who family members said was a relative was wounded in the same shooting and was taken to John H. Stroger, Jr. Hospital of Cook County in serious condition, police said. The Cook County Medical Examiner’s office confirmed that a man in his 30’s was killed in the block of the shooting, but his name was withheld early Thursday. Mario Hess collaborated as Blood Money with his cousin, Chief Keef, on a number of tracks, including "F--k Rehab," a Chief Keef single released in March that has netted more than 13 million views on worldstarhiphop.com in less than a month. "Thought He Was," a Blood Money track featuring Chief Keef, has nearly two million views on YouTube. Mario Hess was in Los Angeles about two weeks ago and was given recording time with Interscope Records, his manager said. After recording 27 songs, Interscope decided to sign him to a record deal, he said. Renaldo Hess, who also manages Chief Keef, said his cousin spent a portion of his $50,000 signing bonus on his family, bills and a car. "I just spoke to him two days ago and I could sense something wasn’t right," Hess said. "Whenever you get money people in Chicago start looking. They don’t have money and he was flashing $8,000. Other people looking to stick him up." Family members said Hess leaves behind five children. Chicago police said they had no one in custody as of 5:30 a.m.